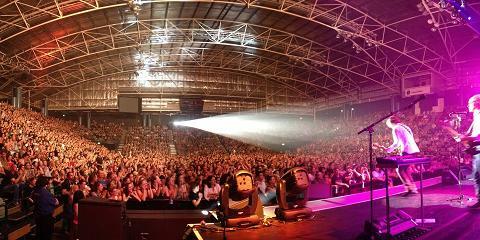 Many thought it was a good idea to go and see Roxette on 14th Feb, so Perth Arena was quite packed. The band proved it was the best way the crowd could spend their Valentine’s Day. Marie changed the tiger pattern jacket she was wearing in Brisbane for a white jacket and she had a pair of very hot pants on. Even if it seemed to be a bad leg day for her (she was sitting during 2/3 of the show), her performance was still so powerful and one could realize again she’s such an inspiration. The band made the whole audience jump up from their seats and dance, as well as sing along loudly. There were changes in the setlist. Fading Like A Flower just had to be back, since it has always been a huge hit in Australia. Almost Unreal stayed on the setlist though and came as the first extra song. Perfect Day was sadly left out and Watercolours In The Rain / Paint was performed at its place instead. 7Twenty7 wasn’t played. Next gig is on Tuesday (17th February) in Adelaide, Australia. Oh Yeah!!!! What a way to finish the Oz Tour! Super gig tonite in Perth. What a lovely crowd! What a lovely band! Thanx everyone for helping us out making this tour such an enormous success!!! We’d love to come back!!!!!! Thank you Perth!!! Fab sweaty show tonite! Great crowd! Splendido band! See y’all tomorrow! Thanks to Evgeny for sharing this. Live Nation Australia & New Zealand has added two more shows in Australia on its website. In addition, the two shows in Perth have been rescheduled and are now end of February. Nobody really wanted to tour us in Australia, eventually we found someone who was interested. I think we’ve sold more than 100,000 tickets in Australia so far. We’re very surprised by the reception for this tour all over the world. Suddenly we’re playing big arenas all over again, it’s mindblowing. David Rezmann contributed to this article. Roxette announce second Perth show on Friday February 24 due to colossal demand! Tix on sale 9am today through Ticketmaster!! Looks like we’ve sold over 45.000 tcts in Oz already. Stunning! Thanx everyone for making this happen! As we have informed before, all major Australian cities will get its Roxette concert February 2012. Live Nation Australia & New Zealand has just announced the final schedule for Roxette. It seems us Aussies just can’t get enough of Roxette – the Swedish duo have just added a heap of new dates to their 2012 tour Down Under! Fans of the 80s band who missed out on tickets to their sold out show in Sydney have been given another chance to see Marie Freriksson and Per Gessle live in action. The ‘Joyride’ singers were originally supposed to come over for just one performance on Friday February 17 at the Sydney Entertainment Centre, but due to popular demand they’ve now added a stack of other shows at venues across the country as well as an additional Sydney date! 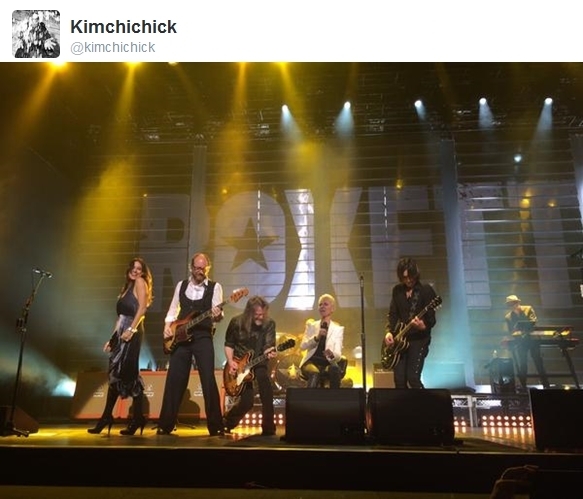 There are rumours that Roxette will also play in New Zealand. More info will follow!